An IRA is an excellent tool for retirement savings. Unlike most investments, depending on the type of IRA you choose, contributions may be tax deductible and will grow either tax-deferred or tax-free. A Coverdell Education Savings Account (ESA) is a great way for parents, grandparents and others to help meet the rising costs of a student’s education. 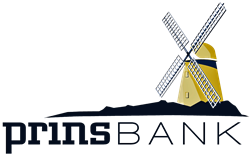 PrinsBank offers several different plan types. IRA’s are still one of the easiest and simplest ways to save for your retirement. Contact a representative to see which plan is right for you.